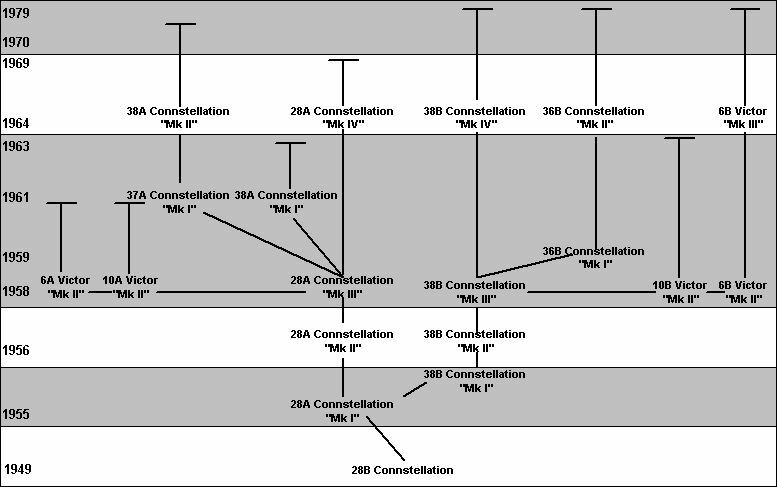 Conn didn't (officially) identify models as being "Mark I" or "Mark II". To distinguish between variations in design from one year to the next in the graphic I have used "Mk I", "Mk II" etc. These are strictly my own additions. 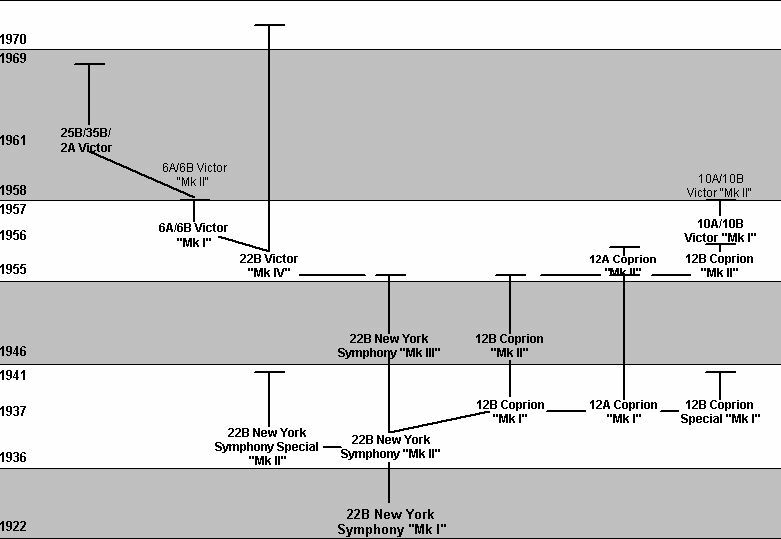 The "6A/6B Victor Mk II" and "10A/10B Victor Mk II" in the New York Symphony/Victor family tree are included for sake of completeness, since these instruments actually belong in the "Connstellation" family tree. The instruments are grouped in columns by features: brass bell, brass bell with nickel trim, coprion bell, coprion bell with nickel trim, etc.